Beghetto has published seven books and more than 100 articles and scholarly book chapters on creative and innovative approaches to teaching, learning, and leadership in schools and classrooms. He speaks and provides workshops around the world on issues related to helping teachers and instructional leaders develop new and transformative possibilities for classroom teaching, learning, and leadership in K–12 and higher education settings. 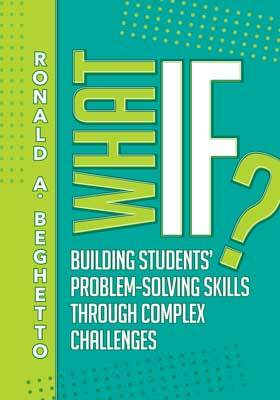 Creativity expert Ronald Beghetto outlines a comprehensive, practical approach for using complex challenges to unleash student problem solving across the content areas and grade levels.